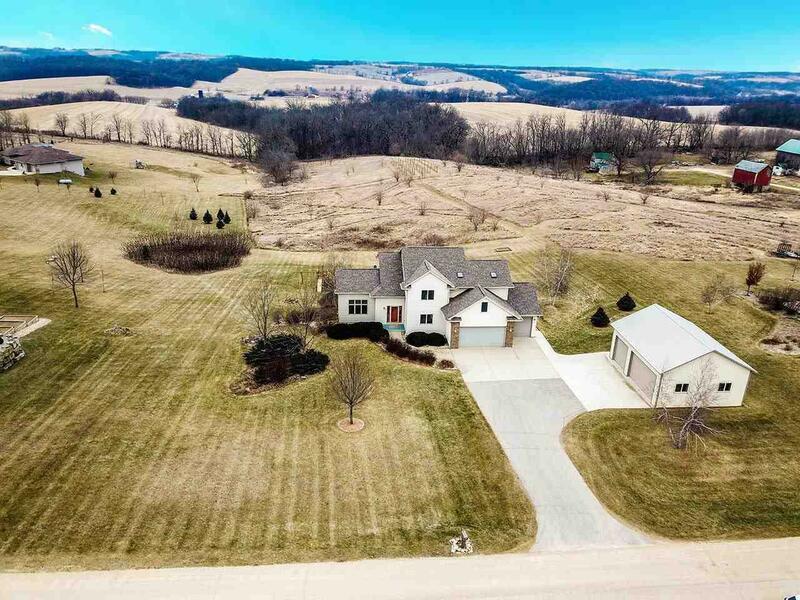 N7411 High Prairie Ln, New Glarus, WI 53574 (#1849212) :: Nicole Charles & Associates, Inc. Stunning 4 bdrm, 3.5 bath transitional tucked in a quiet rural setting in the rolling hills of Green county! Spectacular panoramic vista views! A welcoming two story foyer & open staircase warmly welcomes! Features include: soaring ceilings & gas fireplace in the living room, maple floors, custom kitchen, formal dining room! Retire to your restful master retreat! Finished lower level w/gorgeous custom bar is perfect for entertaining guests! Outside, enjoy your 2 story deck, 3+ car gar & new 32x28 outbuilding for all your things! Property is considered a condo; however, no such condo assn or condo fees exist.